2 injured after terrorists run down group of Israeli soldiers. 2 terrorists eliminated, third wounded. Two Israeli security personnel were injured in a ramming attack in Samaria early Monday morning. 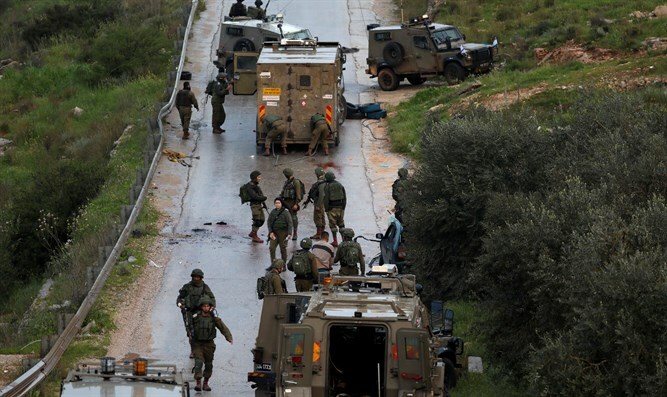 The incident occurred in the village of Kafr Nimma northwest of Ramallah in the Binyamin district of Samaria, when terrorists ran down a group of Israeli soldiers at the entrance of the village. Soldiers from the unit opened fire on the terrorists, killing two and wounding a third, an IDF spokesperson said. One of the two soldiers injured in the attack has been listed in serious condition. The second is said to have been lightly injured in the attack. The seriously injured victim has been identified as an IDF officer, while the second victim has been identified as a Border Police officer. 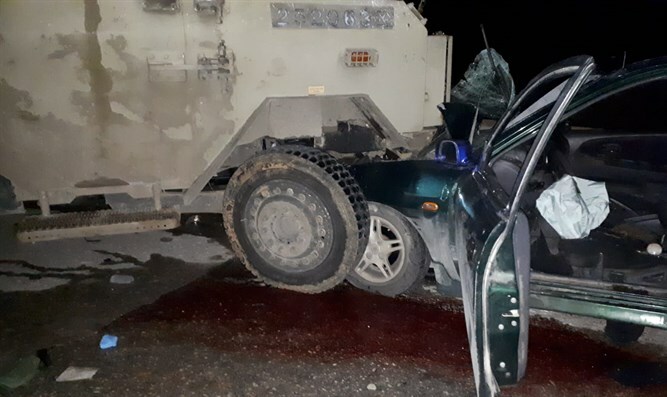 "Overnight, an IDF officer was severely injured and a Border Police soldier was lightly injured as a result of a car ramming attack in Kafr Ni'ma, northwest of Ramallah," and IDF spokesperson said. "The injured soldiers were evacuated to a hospital for further medical treatment. Their families have been notified." Army medics and MDA volunteers treated the soldiers at the scene before evacuating them to the hospital.